It's showtime! AirDance New Mexico presents Other Worlds tonight at 8pm. Ok, that's my shameless plug. 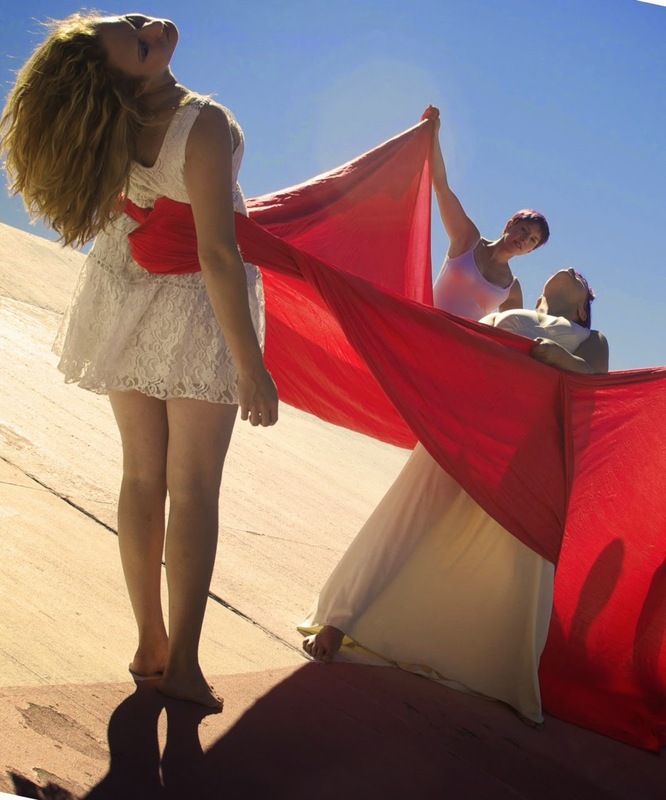 If you are weary of art featuring me and other company members, in white amidst a flowing red fabric, it will all be over soon. Well, until I pull them from my stock photo file for future posts. In other news, I am going to Israel. Yes, I'm nearly as surprised by this news as you are. My dear friend Nomi, who is also a therapeutic riding instructor, lives with her family and horses in the land where everything began. I wanted to go to Israel one day, but as usually happens, that day came sooner than I figured. I hope to post here while I am away, but it may be a little spotty as I search for time and wifi. Please hang in there. I need you. I really do.